Is it the train ? Is it the rain ? Is it the journey ? Is it the cool wind rushing on your face ? Is it the rhythm of the train or the falling rain ? Is it the feel of early morning fresh monsoons on your hand ? What is bliss ? The answers to all these questions are hidden in this beautiful portrait. 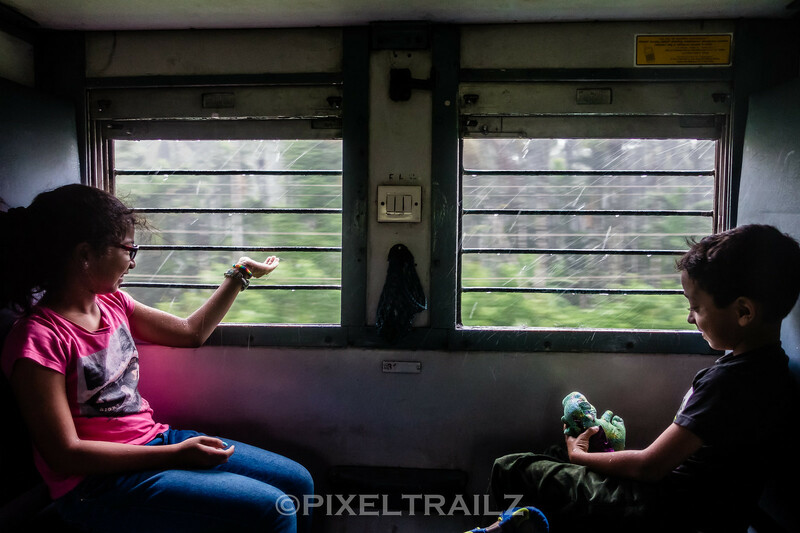 Konkan Railway in the monsoons is an absolute delight to travel. This coastal railway along and through the western ghats provide 2 distinct landscapes for our viewing pleasure, Mangalore to Madgaon & Madgaon to Mumbai. However the tunnels, viaducts, bridges, greenery, rains, mountains and an enchanting experience is a common trait shared by both these sections. 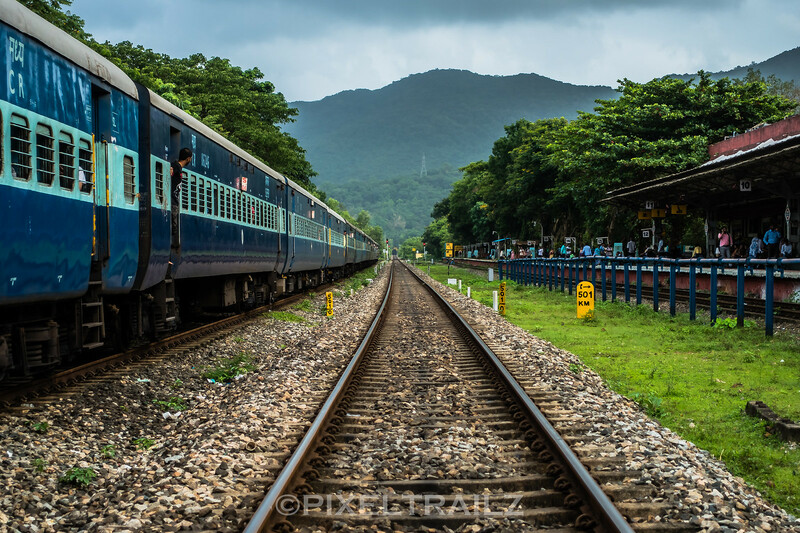 Seen here is our Pune bound Ernakulam – Pune (Poorna) Express, awaiting a crossing with the Madgaon – Mangalore intercity express at the picturesque Karwar. Seen ahead is T-80, Karwar Tunnel, 3 KM in length cutting through the western ghats.